Product Detail Summary: The eerie silence of Alcatraz island is broken by a zombie infestation in Mob of the Dead. This highly detailed, two-level buildable prison structure features four prison cells, remnants of a cafeteria, a decrepit staircase, and loads of barbed wire, chains and skull accessories. 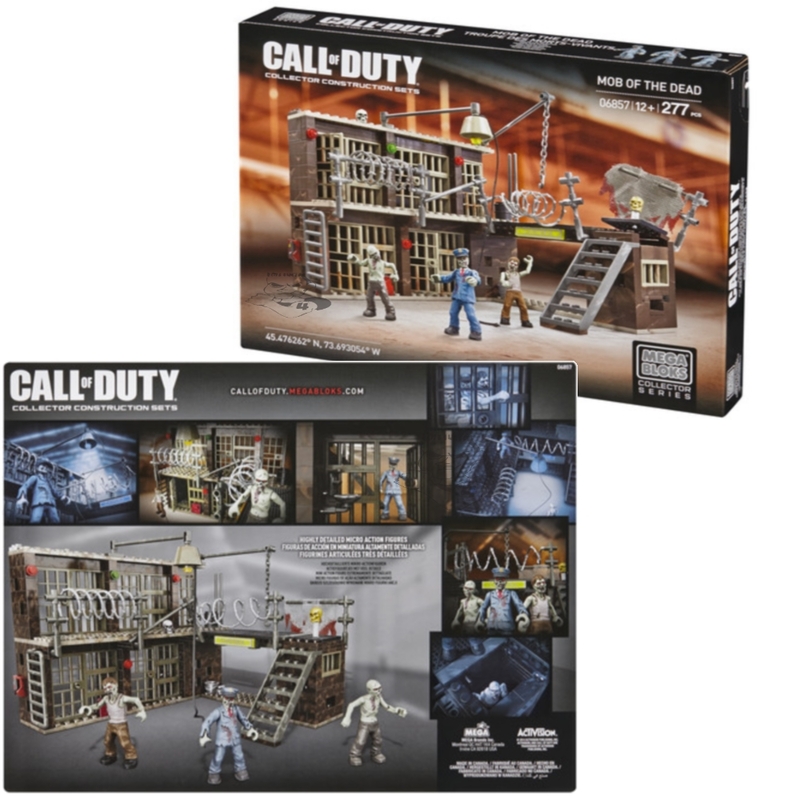 The Mob of the Dead construction set includes three poseable detailed zombie micro action figures, including a brand new zombie guard to haunt your imagination. For ages 12 and up.